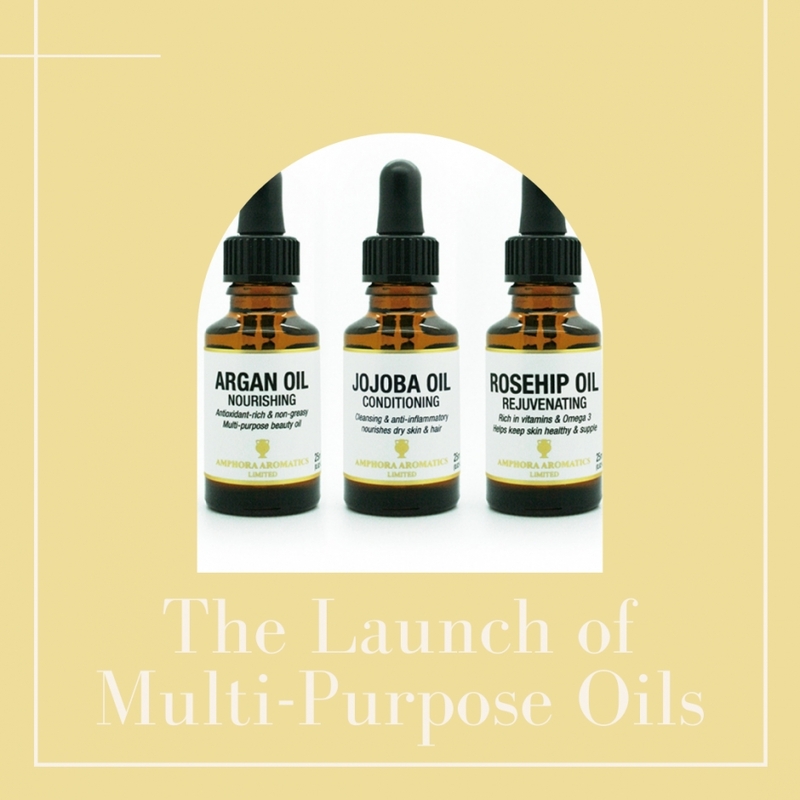 Amphora Aromatics Launches Multi-purpose Beauty Oils. - Amphora Aromatics Ltd – Supplier of pure essential oils and aromatherapy Products. each versatile oil can be used neat or as a massage blend and can help nourish and hydrate all skin and hair types. 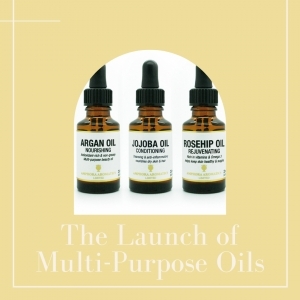 At just £7.50 a bottle, the multi-purpose beauty oils are available from www.amphora-retail.com or Tel: 0117 9087770. Rosehip Seed Oil – rejuvenating. This ‘Wonder Oil’ is rejuvenating and rich in vitamins C, E and F as well as Omega 3. Use neat on skin as a facial oil, or as a base for massage blends and anti-aging skin creams – or even mix it in with a favourite foundation cream to keep skin hydrated, supple and nourished all day. Known to be effective in the treatment of scars and skin blemishes, it also helps rejuvenate mature, damaged or dry skin. Rosehip Seed oil (AKA Rosa Canina Fruit Oil) originates from Chile where it is cold pressed from the Hip Rose, Rosa CaninaL, Rosaceae. This regenerating oil contains a form of Vitamin C, easily absorbed by the skin and can help in the formation of collagen - essential for keeping skin healthy and younger looking. Suitable for all skin types, but particularly beneficial for mature skin. Argan Oil – nourishing. This beauty elixir is also known as Moroccan oil. Anti-oxidant rich and intensely moisturising, Argan oil is packed with vitamins A and E to help boost circulation as well as essential fatty acids Omega 3 and 6, which can help protect against free radical damage to skin. Argan oil can be applied neat to skin or is the perfect base oil for an anti-ageing moisturiser to help combat fine lines and wrinkles - simply add essential oils. Non-greasy and quick to absorb, Argan oil is a real multi-tasker - it is also the ideal solution to a variety of skin and hair related problems, from psoriasis and eczema to conditioning hair and nails - simply massage in neat. Argan oil (AKA Argania spinosa kernel oil) is expressed from the kernels, Argania Spinosa (L), Sapotaceae. Suitable for all skin types, but particularly beneficial for dry skin. Jojoba Oil – conditioning. Cleansing, naturally anti-inflammatory and anti-oxidant rich, this light carrier oil is a good base for facial and massage oil blends – simply add essentials oils, use neat on skin or to add shine to hair. With its ability to penetrate the top layer of skin, Jojoba oil acts as an emulsifier, helping to balance sebum production and gently unclogs pores, reducing impurities – making it perfect for acne-prone skin. Working hard for your skin and hair, Jojoba oil helps condition hair by lightly coating it to add shine and manageability. It can also help soothe and repair chapped and broken skin. Jojoba oil (AKA Simmondsia Chinensis Seed oil) is extracted from the desert shrub, Jojoba Simmondsia chinenesis in Argentina. Suitable for all skin types, but particularly beneficial for acne-prone skin.